« Happy Canada’s 150th Birthday!! July 2nd and 3rd, Keep on celebrating Canada’s big Birthday as Black Creek Pioneer Village invites Doc Century back to perform the shows he created for the village over 20 years ago. All three different Magical Travelling Medicine Shows will be there. Times are: 12 Noon, 1:45 and 3:30pm. Step right up and sit right down to get your cure!! Free snake oil for all of Doc’s patients!! 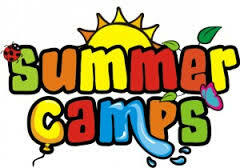 Mississauga Community Centres all summer long!! Steve will be performing at a different Community Centre each Wednesday through July and August all over Mississauga, Ontario. Check your local Community Centre to find out when the Great Steverino will be performing his Kid’s Interactive Magic Show for the Summer Fun kids of all ages at Summer Camp!! 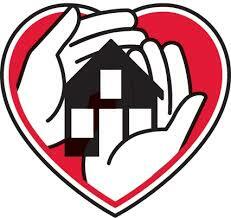 In Your Home All Year Round!! And remember, Steve will be performing right in your home or Community Centre or Kids Activity Centre with one of his many different shows and characters specifically suited for children, teens and/or adults. 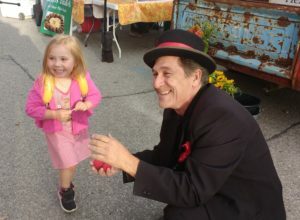 Steve will stay after the show to create balloon animals for the little ones or to conduct a Mini Magic workshop teaching magic tricks to the older kids and the parents, too and helping everyone practice the skills and perform the magic for each other. On Thursday, August 31st, Steve will be returning to the Shelburne Farmers Market to perform close up magic and to make balloon animals for everyone. Here he is with his lovely assistant Lily doing a sponge ball magic trick. Come for the magic and stay for all the wonderful stuff from produce to music to pepperettes!! See you at the Market.